The sole survivor of an army battle. 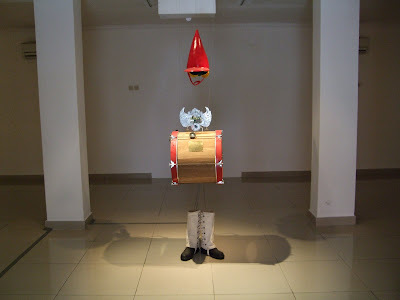 Photo and video of an installation called 'Java's Machine: Phantasmagoria' by Kuswidananto a.k.a. Jompet, from Jakarta's Biennale XIII, February 2009.